Keith Hann - Why Oh Why? 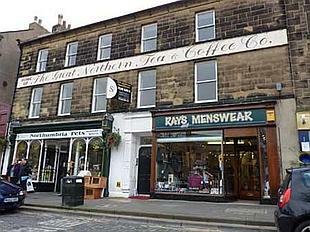 : The best shopping street in Britain? The best shopping street in Britain? What do the following have in common: (a) Sharon Shoesmith and Spanish cucumbers; (b) Alnwick’s Bondgate Within and London’s Bond Street? Clearly the answers are not the obvious ones: (a) “not a lot”, and (b) the word “Bond”. Ms Shoesmith, the combative former head of Haringey’s children’s services, was first in line when the late, unlamented Labour Government was looking for someone to blame, apart from his murderers, for the tragic death of baby Peter Connelly. While Spanish cucumbers sprang to mind when the German authorities were seeking a culprit for their current E.coli outbreak. As a result of this unseemly rush to judgement, both Ms Shoesmith and the Spanish salad industry are now in line for substantial compensation. The former because she was denied the elementary human right to say a word in her own defence before she was fired; the latter because the source of the infection has now been identified as German-produced beansprouts. Or so it was at the time of writing; by the time this column appears the allegedly lethal salad ingredient may well be something completely different. Could there be more joyous news than that salad kills you? Well, the discovery that chocolate makes you slim would be good, as would alcohol turning out to prevent Alzheimer’s disease and tobacco to promote longevity. Oh, and wind farms being proven to cause insanity (rather than merely being a consequence of it). But at least it’s a start. As for Bondgate Within and Bond Street, let me begin by saying that I have absolutely nothing against the former. My mother was born and raised in Bondgate Within, at the address where the Iceland store now stands. I am a regular visitor and shopper; indeed, I bought my wife’s last Christmas present from Jobsons’ splendid country store by the Hotspur Tower. But the notion that this is, as voters in the Google Street View Awards have decided, “The Best Shopping Street in Britain”, seems frankly bizarre. I can think of better equipped shopping streets in Morpeth and Newcastle, for a start, before turning to opportunities further afield. And while Mrs Hann seemed rather pleased with her tweed coat from Alnwick, the shops of Bondgate Within feature decidedly infrequently when she is dropping little hints about what I might like to think about getting her for birthdays and anniversaries. Unlike, I regret to say, establishments in Bond Street. But then the voters in the Google Street Awards are the same bunch of eccentrics who decided that “The Hippest Street in Britain” is South Shore Road in Gateshead. Ever heard of it? Me neither. Apparently it’s the strip of tarmac running by the Tyne in front of the Sage and on to the Baltic and the Blinking Eye. Desperately searching for its other attractions, yesterday’s Guardian added that it enjoyed a fine view of the waterfront in Newcastle. That probably says it all. We live in an age when PR people like me (though admittedly ones who are a good deal more creative than I am) dream up absurd Days and Awards to promote their clients, bang out press releases, then watch contentedly as the free advertising clocks up. I’d rather like to do to the inventor of the Google Street View Awards what Ed Balls did to Sharon Shoesmith and the Germans to the Spanish cucumber producers. But at least this particular non-story has one great virtue: nobody needed to die to bring it our attention.